It is rare to find such a fun, current and lively show that has never had a reading. We were blown away by this show that is about MMORPG but is truly about living in today’s (real) world and can’t wait to share it with you. After extensive meetings throughout 2012, the writing of Legendale began in earnest in 2013. In December of the same year, Jeff and Andrea were invited up to East Haddam, Connecticut for a two-week residency at Goodspeed Musicals’ Writers Colony. An informal reading of the first act took place at Goodspeed in February 2014. 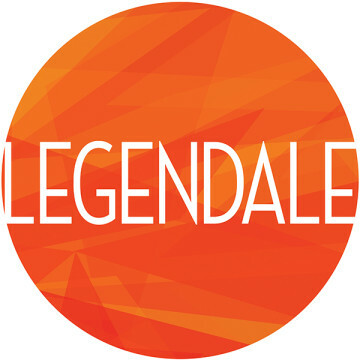 Legendale’s first full-length reading was presented at Ripley Grier studios in New York City in November 2014. Selected for the 2016 ASCAP Foundation Musical Theatre Workshop. World Premiere at Fredericia Teater in Denmark in March 2017, and American Premiere at Human Race Theatre Co. in Fall 2017. Legendale is about Fantasy, and the complex but integral role it plays in our everyday lives. Whether embodied by video games, pro football, old-time movies, comic books, rock ’n’ roll, or theatre, Fantasy is universal. Legendale is for one and all, created with both novice audiences and Broadway aficionados in mind. Its heartfelt story speaks as strongly to Luddites as to lifelong gamers. Legendale has flexible production requirements, and its virtual world can be realized with anything from lighting and simple projections to the latest technological bells and whistles. Legendale is thoroughly original, and free of parodies of current events or real-life games. It will be as timeless and enjoyable years from now as it is today. Legendale is a very young show. Prior to its appearance in the NAMT festival, Legendale has had one closed-door reading. We are open to any and all developmental opportunities.